Leather is practical and may be used all year around. It has the ability to breathe, keeping you comfortable. Its natural structure makes it wind resistant and durable. Leather usually does not wrinkle easily it is great for travel, extended wear, and is excellent for layering...making a perfect topper. Treat your leather and suede as you would any fine item purchase. 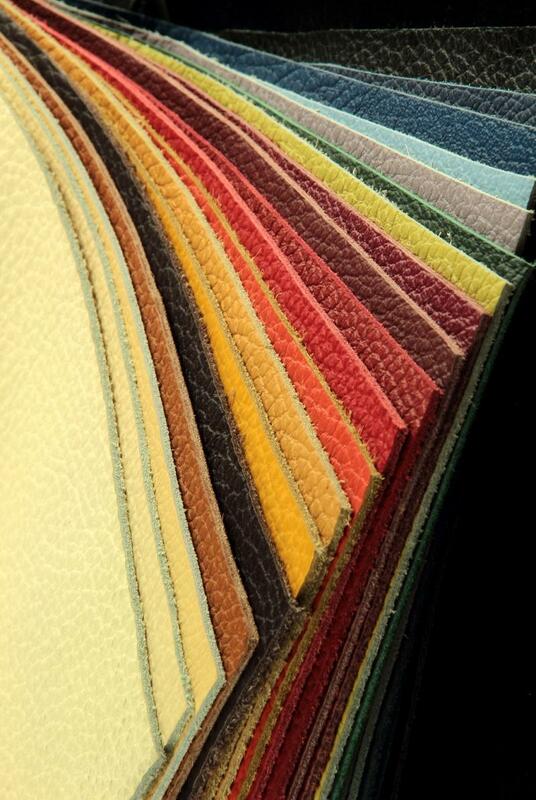 When properly cared for your leather will give you many years of enjoyment and comfort. Leather has been used to make quality furniture, garments, footwear, bags, and accessories for thousands of years. Durable and versatile, leather resists tears, punctures, and extremes in temperature, and it contours with wear. VERY FEW DRY CLEANERS OR FABRIC CARPET AND FURNITURE CLEANERS ARE LEATHER CARE SPECIALISTS! do not apply pins, badges, name tags. glue or tape...ever! do not allow leather to get too soiled. stains may impregnate the skins causing permanent damage. If a leather item gets wet allow the item to air-dry naturally. Keep it away from any direct heat sources. Never blow-dry leather, or drape it over a radiator. Once it has dried naturally, consult with a leather care specialists. If the item is suede, you may gently brush it with a micro fiber towel. Store your leather goods in a moderate environment (i.e. not overly humid, and not overly dry). Keep items out of direct sunlight when possible. To help maintain shape, hang leather clothing on wide or padded hangers, and insert shoetrees or tissues in leather footwear and/or purses. Never store leather goods in covers made of plastic or other non-breathable materials; if you do so, they stand a chance of becoming dry or developing mold and mildew. For cleaning and damage or color restoration consult a reputable, leather care professional. Essential oils are removed during the cleaning process and can only be restored professional leather cleaners. REGULAR DRY CLEANERS, SHOE REPAIR COMPANY OR CARPET AND FURNITURE CLEANERS WON'T DO THE JOB WELL. SPECIFY THAT THEY SEND THEIR LEATHER TO A PROFESSIONAL LEATHER CARE COMPANY! Wrinkles in leather tend to "hang out" if you leave the garment on a quality, padded hanger. For more heavy-duty wrinkles take your leather garments to professional leather cleaners. If you decide to do it at home, set your iron on the rayon (lowest) setting, use a pressing cloth over the garment, and iron quickly to avoid overheating and shine. Entrust leather repairs to a reputable leather care professional. However, hems and other minor tears can mended at home by applying rubber cement sparingly and according to instructions on the tube. FOR BEST RESULTS, SEE A LEATHER CARE PROFESSIONAL. If you do not know how to clean or condition your leather do not try to do it yourself. You can damage the leather and, if reparable, will usually pay a premium to have a professional attempt restoration. Do not use high PH products, such as saddle soap. Quality leather conditioners contain fats and/or oils that help to moisturize leather. DO NOT use products that contain petroleum or mineral oils, as they are very drying and can damage leather over time. wearing a scarf at the neckline will help protect the collar. expect leather garments to stretch during wear and shrink again after professional cleaning. you may also see some color and texture change after cleaning; however, a professional leather care expert will minimize or may be able to correct these situations. the BBB and other professional organizations suggest that you entrust your valuable leather items only to "professional leather care specialists trained and equipped for this type of work."